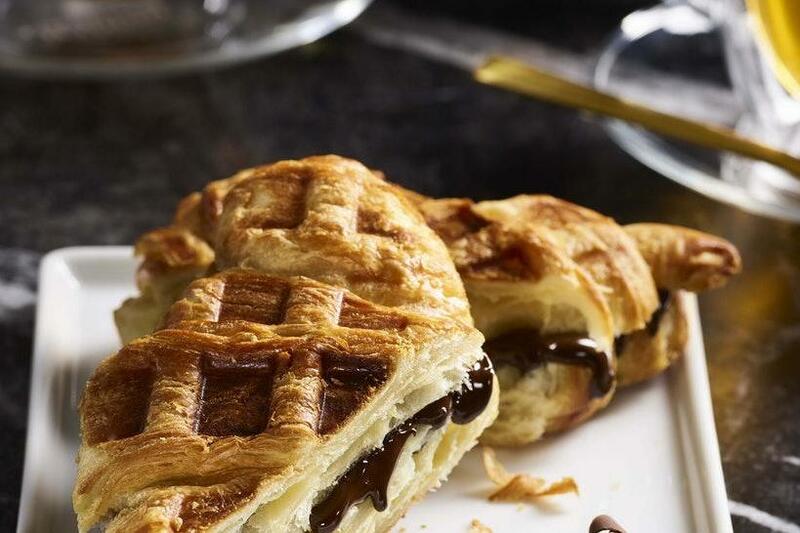 Buckle up, pastry fans, because the food hybrid of your wildest dreams has just become a reality. Giving the cronut a run for its money is the whimsical-sounding croiffle: a cross between a croissant and, you guessed it, a waffle. It might sound like a thing of baking wizardry, but in fact, It’s actually just a buttery croissant that has been pressed in a waffle iron. So far, this innovative treat is available exclusively at a new Godiva cafe in Pennsylvania Station in New York City. Customers can choose a filling for their croiffle, which can be either sweet or savoury. Options include dark chocolate, milk chocolate, three cheeses, bacon, egg and gouda and sausage. So far the croiffle is only available in the US, but so was the cronut, at least it was when it first launched in 2013. Now you can pick up variations of the croissant-meets-doughnut pastry, which was invented by the New York-based Dominique Ansel Bakery, in several spots across London and even Tokyo. It’s only a matter of time until this new trendy food hybrid makes its way across the pond, joining the likes of crolls (croissant-meets-bread roll), dagels (doughnut-meets-bagel) and macaron cupcakes (self-explanatory).